Welcome back to our blog page here at Transforming Faces, Canada’s most established children’s charitable, non-profit organization. With all of the work that we’ve been doing around the world, we get a lot of questions about what keeps us going. The answer to that is simple: we are desperate to make a difference in the lives of children who would otherwise have no chance at a normal, healthy life. How do we do it? By providing some of the worlds best cleft care in as many as nine countries all over the globe. Instead of simply offering a “quick fix” surgery to children who have been born with cleft lip or cleft palate, we provide a long-term solution to this devastating condition. With the help of our global partners, we’re able to offer extensive care for those who deal with cleft by not only providing valuable corrective surgery, but we also offer services like speech therapy, dental work, family counseling, and so much more. When it comes to smile charities who are passionate about making a difference, you can’t go wrong when you donate to Transforming Faces. Argentina, or officially known as the Argentine Republic, is the second-largest country in South America when it comes to area, and the third largest in population after both Brazil and Colombia. Sharing most of the Southern Cone with Chile to the west, Argentina is also bordered by Bolivia and Paraguay to the north, Brazil to the northeast, Uruguay and the South Atlantic Ocean to the east, and the Drake Passage to the south. Since 2006, Transforming Faces has been partnering with the Fundacion GAVINA which is based in Tucaman. 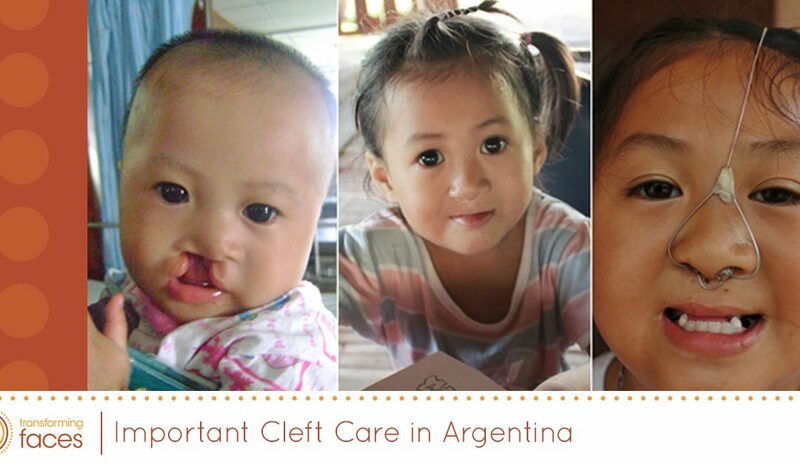 Some of the current program focuses include providing comprehensive cleft care services for children in the north part of the country and advancing cleft care knowledge and training throughout all of South America. By providing reconstructive surgery, speech therapy, dental care and orthodontics, social work, and counseling, we’re able to help more kids than ever! We’ve seen some recent successes in the region of Argentina. That includes an award by the local provincial government for excellence in the nonprofit sector with a $10,000 CAD contribution to the cleft work being done there and a new collaboration with the province’s maternity hospital to provide better pre-surgical care to newborns and parents. Additionally, GAVINA has seen such great cooperation between themselves and the local government, as a commitment to further strengthen cleft care in the region. Though we have much to be thankful for, we’re still hoping for successes when it comes to navigating local systems so that children can have fast and effective access to care. We’re also struggling with the local economy amidst a current recession. 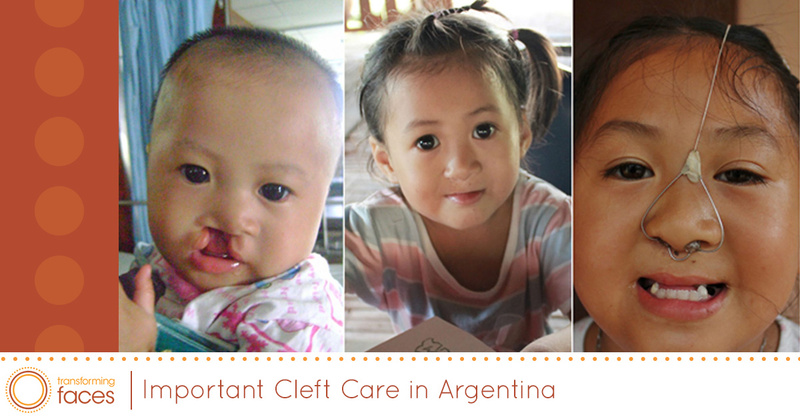 No matter where you live, you can see the importance of the cleft lip and cleft palate work that’s being done in places like Argentina. If you have a passion to see cleft palate and cleft lip awareness and contributions increase, consider doing your part to help a great organization. Donate to Transforming Faces, a quality Canadian non-profit charity organization today and make a difference in the life of a child.